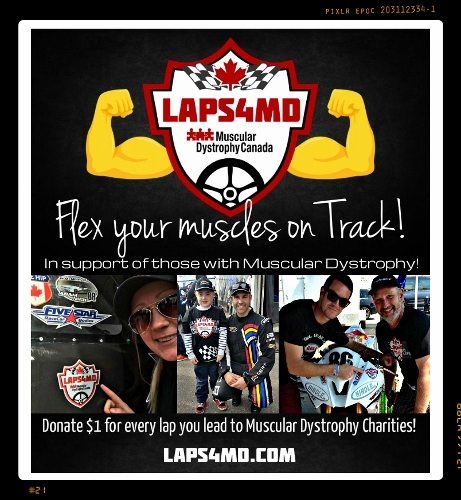 When it comes to slowly losing your muscle strength at times it can mean losing the ability to do many things others take for granted. Since I have lost a lot of strength in my arms over the years this has resulted in an inability to carry anything that is too heavy. Things many people can carry with ease such as a jug of milk or even a case of water. This means in many situations my wife ends up being the one carrying the heavy load. This is one of my biggest frustrations whenever we go grocery shopping as this can result in me looking like a jerk. Especially to those who are simple observers as they look at me and wonder why this man is making his wife carry everything that is heavy. As many in society expect the man to do all the heavy lifting. But I do understand that these people have no real clue about my physical limitations, as they see a man who may look perfectly fine in their eyes. Believe me at times I get the stares from total strangers looking me up and down as if they are judging me thinking there's no way this guy has a disability. 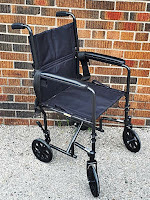 This is just a part of living with a hidden disability and it has been something I have been dealing with since I was eighteen years old - so it's really nothing new. The truth is some people have a stereotypical view of what someone with a disability should look like and most days I don't fit that mold. So, when they see me not doing what is expected of a man especially when it comes to doing all the heavy lifting they might make the mistake of judging me and thinking I am lazy. I really can't blame them and sure it shouldn't bother me as to what people think as I already know that they simply don't understand. Still I do feel bad as I am unable to physically step up and help my wife and I hate the fact that she end's up doing all the heavy lifting. I am so thankful that she understands but to the untrained eye many people view me as a regular guy when they know nothing about my story. It's the same thing when total strangers give me dirty looks when they see me parking in an accessible parking space. Even other people with disabilities at times can be very ignorant to the fact that not every disability is visible. But they are not there when my leg gives out causing me fall or when I trip over a simple pebble on the ground, it's the main reason why I tend to walk with my head down looking for anything that may trip me up. At times it makes me look anti-social since I am always looking down. The facts are only those close to us at times can truly understand our physical limitations, but all too often total strangers make snap judgments simply because they don't know any better. They see the international sign for accessibility being someone in a wheelchair and automatically think that is what everyone with a disability looks like. The facts are ignorant people will always judge others and sometimes we make the mistake of caring what they think. Currently I am slowly becoming okay with other's seeing my wife carrying the things I find too heavy. If they look at me as a lesser man or think I am not a stand-up guy because of this, I don't let it bother me as I can't expect everyone to understand my situation. After all I can admit I may look like a tough guy who can carry my own weight but little do they know looks can be deceiving. In the end, it is truly unfortunate that in this day and age some people still have a stereotypical view of people with physical disabilities. When it comes to living with Muscular Dystrophy and slowly losing the ability to do things you once could do with little to no trouble, at times you end up making a few mistakes. 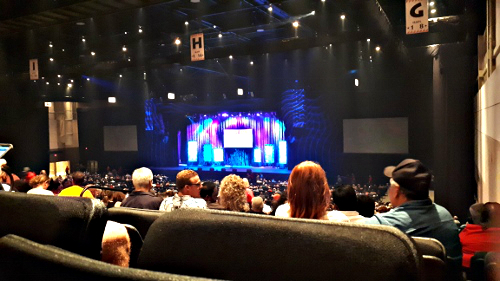 I truly should have known better but the other night while attending a comedy show by Gabriel Iglesias aka “Fluffy”. Sadly, the mistake I made on this night resulted in me finding myself in a awkward situation the moment the show came to an end. But first let me explain how I became a victim of my own stupidity - you see a friend of ours ordered our tickets and claims he asked for accessible seating. Unfortunately, when we checked in with our tickets the usher told to go up the escalators to access our seating, this is when we found ourselves at the top of the theatre at Casino Rama - at this point I thought something might be wrong. So we checked with an usher asking if there was another way to our seats that didn’t involve going down twenty steps - he joked with us saying you could slide down the railing if you like. I guess since he didn’t take us seriously I just went along with it making the mistake of thinking I could actually make it down to our seats. I guess I simply didn’t want to be a bother so we made it down to our seats which I hoped by some miracle might be accessible in some way but as with every theatre they offered the smallest amount of legroom. At this point I decided to just sit back and relax to enjoy the show and it wasn’t until the end when I started wondering how I was going to get up from my seat to exit the theatre. This is when my problems began. Once the show ended our friend went out ahead of us, as my wife needed to use the restroom I told her to not worry about me and to go ahead as well. Giving her my phone as having it in my pocket would hinder me from getting up. So I was on my own without my phone as I waited for the theatre to empty out, this is when I attempted to get up by using the back of seats. Unfortunately, the seat backs move as they are not fixed in place so I was unable to use them to assist me in getting back up. It really didn’t help that I was in a tight area with nothing to push off of to get back up, this meant I was stuck and that there was nothing I could do as a result of my leg muscles being so weak. At this point I sat back for five minutes trying to come up with a strategy to get up so I could exit the theatre. Eventually, I noticed an usher a couple rows up from me so I asked her for assistance in holding the seat back in place so I could get up but this didn’t work - I simply couldn't get up. Then she called a few other ushers over one who grabbed me under my arms to help support me but with my leg being so weak I almost ended up sitting on the floor, thankfully he was able to lift me up back into my seat. There was nothing they could do so they called for security to help me, I was so frustrated and even embarrassed so out of frustration gave it my all to build up enough energy to force myself back up. Thankfully at this point I was successful in getting up but still my legs were very weak from the whole ordeal. A few seconds later the security guard arrived and thankfully was able to help me down what seemed to be about forty steps to the bottom of the theatre. This is when I apologized to the usher and the security guard telling them I should have known better, that I should have just asked for fully accessible seating - he told me they are always prepared for these situations and that they would have happily exchanged my tickets. Which would have resulted in us sitting much closer to the stage. Anyways, once I was back on my feet I was able to meet up with my wife eventually connecting with our friend so I could make the long drive home. By the time we arrived home I could barely walk so I went straight to bed though it was hard to sleep as whenever I moved my legs they felt like 100 pound weights. It was actually the first time I was scared that I possibly wouldn’t be able to walk at all the next day. When I woke up in the morning my legs were so weak that it was nearly impossible to take a shower which was beyond frustrating. Worst of all this resulted from my own stupidity of not asking for accessible seating the second I found myself in this situation. I guess what frustrates me the most is the fact that this could have all been avoided if I had just spoke up. 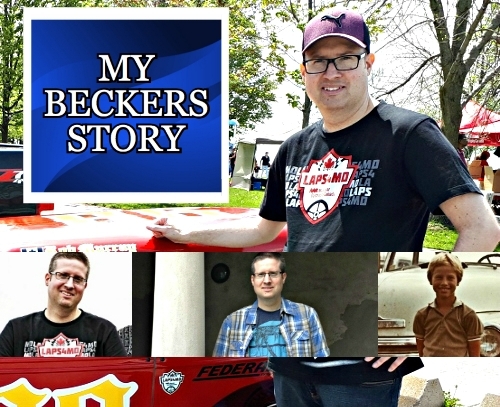 I think at this point in my life I really need to start taking the fact that I have Becker’s Muscular Dystrophy more seriously as the days of trying to ignore it are over. 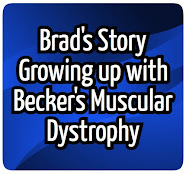 When it comes to living with Becker’s Muscular Dystrophy at some point in our progression losing the ability to climb stairs eventually becomes a reality. In recent years, my inability to climb stairs has been having a major impact on my life. Now when it comes to where I live if there isn’t an elevator in the building I have no other choice but to live on the first floor. Even though I may look perfectly fine and still have the ability to walk my leg muscles are so weak that climbing stairs is now near impossible. If I could afford to I would move into a more modern building with an elevator so I can live on whatever floor I choose. A place where my wife wouldn't have to go down two flights of stairs to access the laundry room. I actually miss the days of being able to help out my wife by doing a bit of laundry while she is at work. Even with my issues I still do my best to help out around the home after all sitting around all day doing nothing isn't really that good for your health. When it comes to visiting family, or friends my inability to climb stairs has created a few problems. Just recently someone we know bought a townhouse with the only bathroom being located on the second floor. The last time we were there I needed to use the bathroom so I went up the stairs on my rear end step by step, then going back down in the same way. After this I could barely walk as my leg’s felt like rubber as they kept wanting to give out on me. In the moment, I was really frustrated knowing when we visit next time I would not be able to use their bathroom. 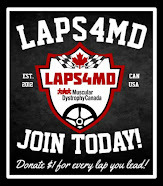 So, at this point in my progression with Muscular Dystrophy it is now affecting my ability to get together with friend’s and family. I really wish when it came to hanging out with friends that they could simply come to my place. Only problem is that my current apartment is simply to small and better suit to someone who is single. And as my condition worsens it feels as if my apartment is getting smaller by the day - especially in our bathroom if you make the wrong move your knee will smash into the counter. I even have the bumps and bruises to prove it. But due to the high cost of rent in my community a move currently isn’t even an option. My worst experience came a few years ago, when my wife and I attended a Josh Groban concert. 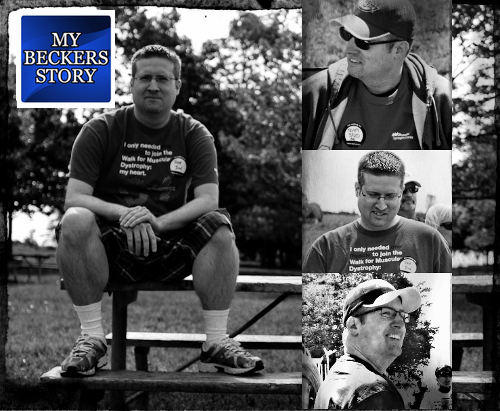 At the time, I was still in denial concerning the progression of my Becker’s Muscular Dystrophy and that night I paid for it dearly. That night my troubles all began when I went to stand up after three hours of sitting in a very small and tight space. It is truly unfortunate that at almost every concert venue the seating they offer is usually very tight leaving you with little to no room to stretch out your legs. I guess not being able to stretch my legs out resulted in my legs became so weak that I just couldn't get up. In that moment my legs had lost all their feeling and strength. This ended up creating an awkward situation as I had never experienced this before. It was as if my legs weren’t even there anymore. Thankfully after a few minutes I was able to crawl up the steps on my hands and knee’s and use the railing at the top to stand back up. It was more than a little embarrassing. This whole experience acted as a wake-up call. This is when I also realized that accessible seating would have made a huge difference. It was in that moment I knew that stairs where quickly becoming my worst enemy. Fast forward to today and I avoid stairs at any cost as a simple fall while using them could end very badly. In many cases in my situation a broken leg would more than likely end with me never being able to walk again. Now, as I continue to lose strength in my muscles I know overtime other challenges will come my way and I hope I am ready to face them. As of today, the reality is that stairs are now my worst enemy. 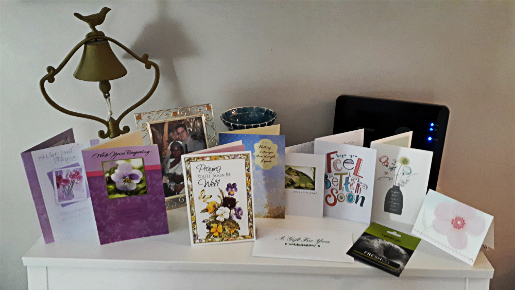 Recently my wife suffered a stroke in her mid-thirties after having surgery for a broken ankle she suffered on her way to work. Now over the years I have shared very little about my wife and the medical challenges she has been facing. 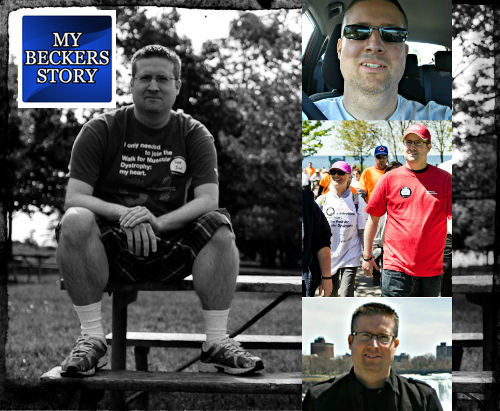 Already me living with Becker’s Muscular Dystrophy brings its own challenges and difficulties but outside of that it seems my wife and I have been through more than most couples could handle. You see after years of being married when we decided to start our family we were faced with miscarriages and very devastatingly lost two daughters to stillbirth, it was then when my wife was diagnosed with a rare blood clotting disorder called Antiphospholipid antibody syndrome (APS). 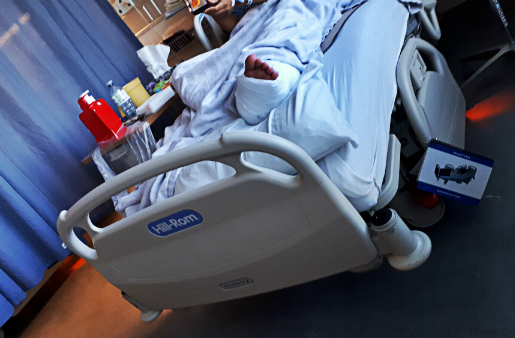 Unfortunately, just a few weeks ago my wife suffered a fall on her way to work and broke her left ankle, it was so bad that she required surgery. Sadly the condition APS reared its ugly head as it caused a stroke resulting in her right side becoming very weak - leaving her unable to walk and unable to work.At this time we remain focused on her healing and recovery, but with me being on disability and my wife being the sole full-time worker this has left us in a very tough spot financially but still we must focus on her recovery. Thankfully, after a two week stay in hospital she was able to return home though she still faces a long road to recovery. Sadly, she is still unable to walk or return to work. We are currently having to rent a transport chair to help her get around our small apartment - since the wheelchair we originally had simply wouldn’t fit into our bathroom or through our buildings front entry. This is has really shown us that it might be time for a move to an accessible building, thankfully her mom is here to help and we are doing our best to adapt to the current situation. This whole thing has also shown me how quickly life can change. I always thought with me having Becker’s Muscular Dystrophy that I'd be the one dealing with having to use a wheelchair long before she would ever have to. After all she has always acted as my caregiver stepping in to do tasks that Muscular Dystrophy makes too hard for me. But now it’s my turn to take care of her and she knows I am doing my best. Though I am trying to hide the fact that all the extra work I am doing is leaving me weak and exhausted, but I am dedicated to keep pushing through - while trying to get as much sleep as I can just to have the energy to make it through another day. We are hopeful this will only be a short term thing as we are both looking forward to when she is walking again and able to return to work - so we can put this is all behind us. At this time we are truly thankful for all the support we are receiving from our family and friends as well as her coworkers and the readers of My Becker’s Story. As this makes it a lot easier to get through this allowing us both to breathe a little bit easier while we focus on her full recovery.